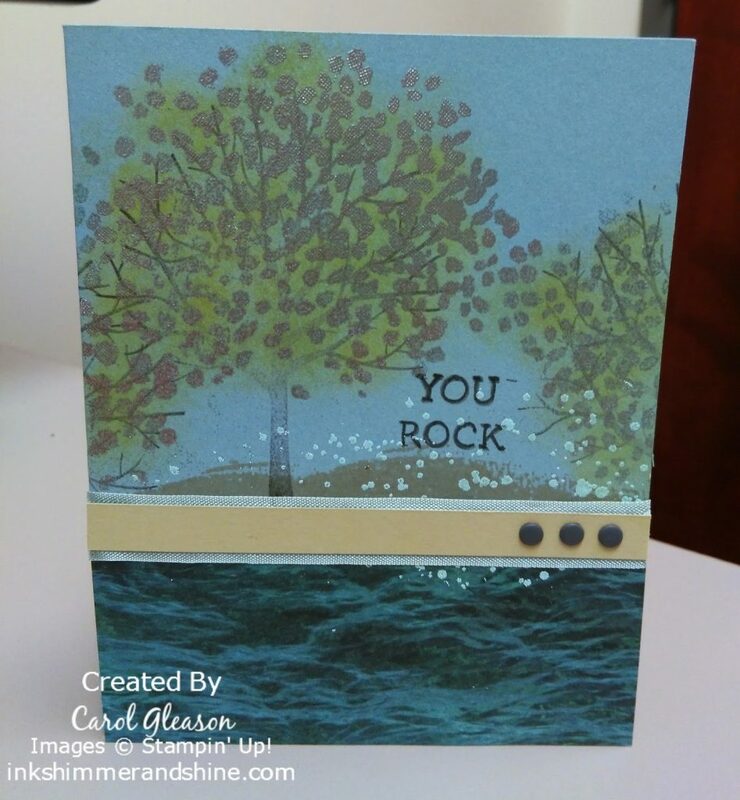 While I was busy creating the You and Me card the other day, I created a ‘You Rock’ card as well. Once again, it doesn’t look anything like the original card, but here it is in all its glory. 🙂 It features the Adventure Bound paper and the Stampin’ Up! Sheltering Tree stamp. The tree leaves are embossed in silver then daubed with summer starfruit and certainly celery ink. I had an idea about creating “splashy” water with pool party embossing and the Gorgeous Grunge stamp, but I’m not sure I like the way it turned out. I think the Pool Party color is too light, but what color should a splash of water be? Do you like it? Leave me a comment and let me know. Adventure Bound, Crazy About You, Gorgeous Grunge, masculine. Bookmark.